Our range of products include rubber cords. 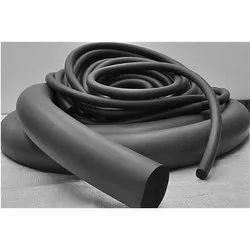 Precisely manufactured Rubber Cords are meant for sealing applications at the place where accurate size o-ring is not present. Therefore, these are designed with high quality of raw materials, contemporary techniques and modern machines. The rugged design allows them to resist the abrasion cause due to petroleum, mineral, vegetable oil, alkali and acids. These are integrated with the features like resistance against corrosive fluids, superior mechanical strength; prevent damage against high temperature and excellent electrical properties. Looking for Rubber Cords ?